It may be difficult, if not impossible, to find a shelter for your animals in the midst of a disaster, so plan ahead. 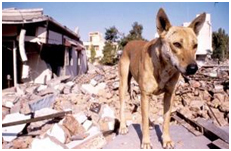 The following are suggestions you should consider when including pets in your disaster plan. 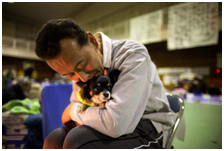 Ask friends, relatives or others outside your area whether they could shelter your animals. Keep essential supplies in an accessible place in sturdy containers that can be carried easily in the event of an evacuation. If you own or care for larger animals or livestock such as horses, pigs, goats, sheep, and cattle, it is important to consider the necessary preparedness measures during a disaster. Be sure the animal has some form of identification. If possible, evacuate your animals to a pre-established alternate location. Map out multiple routes in advance in case one is impassable. Ensure that the destination or the transfer vehicle has food, water, veterinary care, and handling equipment. Also if evacuation is not possible, owners should consider whether to move large animals indoors or to leave them outdoors. For more information on preparing and planning for Livestock and domestic pets, visit Ready.gov.